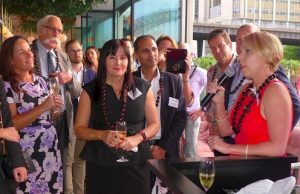 Today is Thanksgiving Day – which Hawaiian Airlines celebrated on Tuesday with a cocktail party in Sydney’s Pullman Quay Grand Sydney Harbour, complete with mai tai cocktails, Veuve Cliquot Champagne and latest news about the airline’s services. Thanksgiving is celebrated in the US today (fourth Thursday of November) and Hawaiian got in early. It’s one of the world’s most punctual airlines, having led all US carriers in on-time performance for each of the past 14 years (2004-2017) as reported by the US Department of Transportation. This whole month is big for Hawaiian Airlines. It started in November 1929 – so its 90th anniversary is next year, and with it, the countdown begins towards the big 100 in the year 2029. 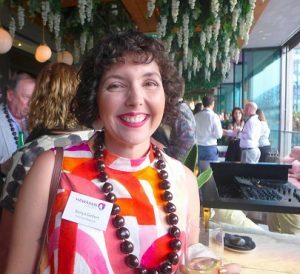 An exciting new development mentioned on Tuesday by Hawaiian Airlines’ acting country director Australia, Karen Macmillan, concerns a great new way for Australians to reach Boston. Australians wanting to fly to the US East Coast will have the option from next April to fly with Hawaiian Airlines to Boston’s Logan International Airport. 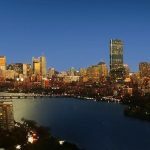 Aussies will be able to reach Boston in just two hops – nonstop to Hawaii and nonstop to Boston. A Hawaiian stopover on the way is an obvious temptation. 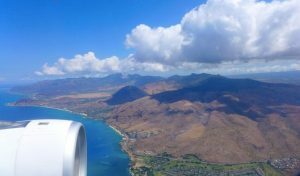 Hawaiian Airlines will begin its five-day-a-week service from Honolulu to Boston on 4 April 2019. The airline also recently expanded to 68 (from 40) the number of Extra Comfort main cabin seats, which offer a generous 36-inch pitch for extra legroom, and priority boarding. Guests can upgrade to Extra Comfort seats for AUD 190 each way between Honolulu and Boston and AUD 165 between Australia and Honolulu. 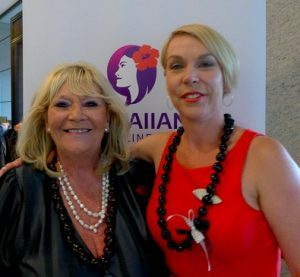 Hawaiian Airlines’ acting country director Australia, Karen Macmillan (right) with guests. Hawaiian Airlines PR Heather Jeffery at centre. Hawaiian’s executive chef Lee Anne Wong, owner of Honolulu’s Koko Head Café, will collaborate with Hawaii’s top chefs to delight guests with two meals served in each direction. Boston is the largest US market without nonstop service to Hawaii. In commemoration of the city of Boston’s deep history and Hawaiian Airlines’ 90th year of operation, the flight to Boston will be numbered Flight HA90. 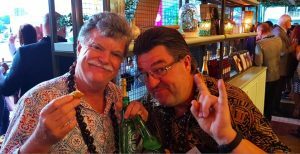 “Hawaiian Airlines has been an important partner in making a Hawaiian vacation accessible to people from all over the world,” said Hawai‘i Tourism Authority president George Szigeti.